This verse demonstrates a personal relationship with God that is to be grounded in love and in obedient surrender of the following three areas of a person. The preposition "with" is used to begin detailing each of the three areas in which we use or show our love for God. All my heart: not withholding any area or deep places of the heart; nothing or no one else is to be loved more than my God. All my soul: our soul defines who we are and how we live. The Holman Bible Dictionary says "Soul designates the feelings, the wishes, and the will of humans." I am to love God entirely in response to the love He has first shown me by sending His Son, Jesus, to die for me while I was yet a sinner (Romans 5:8). All my strength: This would be the outward actions that demonstrate a heart and soul that is surrendered entirely to God. I cannot live like God requires in my own fleshly strength which only seeks its own selfish desires! God knew this and in His mercy He gives believers His Holy Spirit which enables us to live how God calls us to live. As a daughter of God, I am to demonstrate my love for Him with ALL of my being. I cannot withhold any areas of my life. As I studied this verse this week, I thought of the agape love of God that did not withhold anything from me. Jesus willingly came in the flesh to fulfill all the requirements of the Law that man (I) could not. I think this kind of love (agape) is what God desires of us as well. convictions, and walk in Jesus' character. participating in His activity, and experiencing His blessings in ways few people ever do. So this week I have learned the first step in saying #yestoGod and that step is found in Deuteronomy 6:5...it is the complete and total surrender of my life into the loving hands of my Father.﻿ It's a call that beckons me to walk further out onto the water toward Jesus. It's a call to set aside my desire for control and surrender to a biblical obedience that will be seen as radical in the eyes of this world. It's a call to say #yestoGod! Thank you for sharing your post, it is amazing to see God at work in the lives of so many women worldwide with the same desire to say Yes to God #PalmsUp, thank you for being a part of this incredible journey by surrendering all to Jesus and realizing it isn't about performance but rather a daily surrender to God. Yes, Marilyn, it is amazing as I blog hop and read how God is at work in the lives of women across this world. It's comforting to know that I am surrounded by women with the same desire to say #yestoGod with #palmsup in complete and total surrender! Thanks for stopping by! 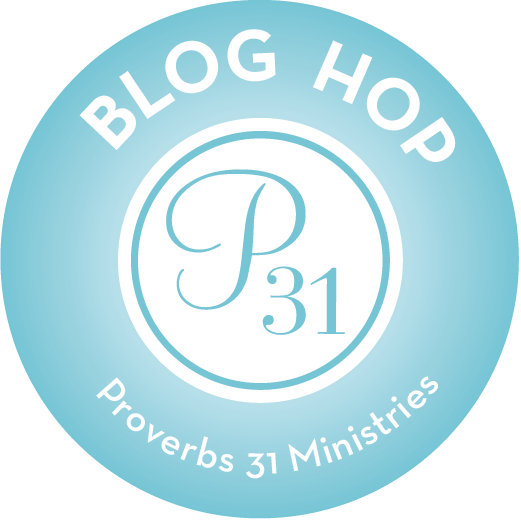 I'm so thankful to be on this journey with you all at Proverbs 31 Ministries! Thanks for your insight Laurie. I too was touched by that verse this week and felt God pouring His love in to me and whispering to "let go" and trust in Him. Thanks for sharing! This was lovely to read. I focused on this week's verse as well. I loved what you said here "agape love of God that did not withhold anything from me." How amazing that the creator of the universe would love us so! God bless you! Yes, Kelly, God's love is truly amazing! I'm so thankful for it! Wow - I really REALLY got a lot out of this blog. Thanks so much for sharing it - especially pointing out the word "With"...made me think. I will look forward to reading more! Thank you, "pegspeaks.com" I enjoyed studying this verse; and I'm glad you were able to get something out of it too.